Texas | CallMePower - Compare, Choose, Save... Now You've Got the Power! Shop. Compare. Choose. But what if it wasn't that easy? Read more about Power to Choose...or Confuse? Look out, Texas retail electric providers, there's a new kid on the block! Think Energy, a retail electricity provider focusing on residential and small commercial customers established by the French GDF SUEZ Energy Resources NA, announced yesterday that it is launching in Texas. Have you been a victim of a scam involving someone pretending to be from AEP Texas? Unfortunately, scams involving Texas utilities such as AEP Texas are a recurring problem. But staying safe from fraud is simple if you keep a few facts in mind. Here we explain some of the common types of scams that con artists and scammers use to fool AEP Texas customers, so that you can stay safe. Deregulation of Electricity in Texas: are consumers better off? It's been over 13 years after Texas electricity markets opened to competition, but has deregulation benefited Texas consumers? The results are mixed, according to the report released by Texas Coalition for Affordable Power (TCAP) on August 12, 2015. We took a closer look at the report in order to explain what it means. Read more about Deregulation of Electricity in Texas: are consumers better off? Last Monday, President Obama announced the Clean Power Plan, an ambitious piece of policy that seeks to dramatically reduce carbon emissions from power plants. Supporters see this as having a significant impact on US carbon emissions, and hope that it will lead to the US power industry's transformation into one that is cleaner and more efficient. Critics argue that it is unachievable, too expensive, and illegal. So what is the Clean Power Plan, and how will it affect Texans? Here's the Clean Power Plan defined in three points. 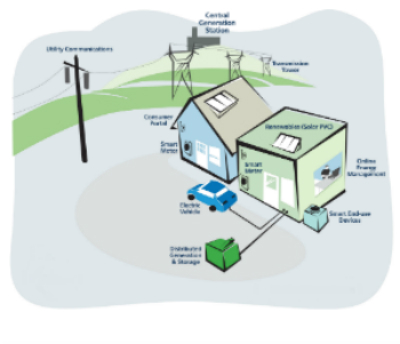 What's The Future For Distributed Energy In Texas? Most news articles on the recent ERCOT proposal regarding distributed energy production are full of jargon and technobabble, and not incredibly easy to understand. And that’s a shame given a policy proposal that could very well revolutionize the relationship between Texas consumers and the energy they consume. So we break it down for you here. Read more about What's The Future For Distributed Energy In Texas?